The Twin Cities Jazz Festival officially begins with Jazz Night Out on Thursday, June 17th, but the metro seems to be in a musically festive mood already. 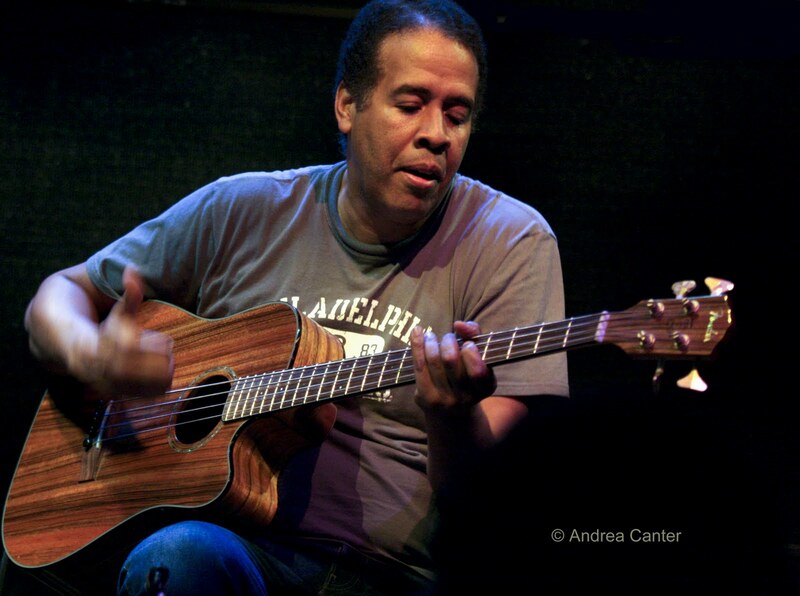 The relatively new Dave King Trucking Company kicks off a big week that finds Stanley Clarke and Hiromi taking some time off from a quartet tour to dazzle in duo format; Tanner Taylor holds his second AQ jam and Stride Piano Night returns to the AQ as part of Jazz Night Out. Don’t blink your ears or you will miss something good this week! 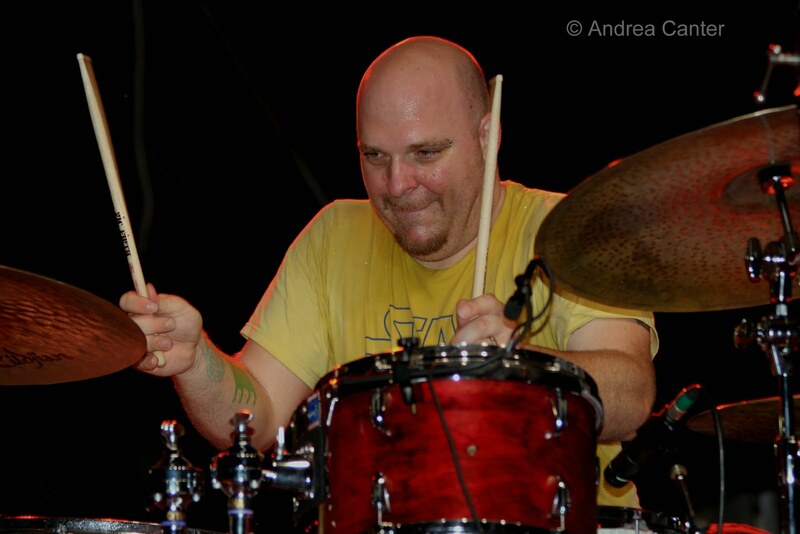 In March, the Walker Art Center gave local drum legend Dave King a weekend to showcase his many jazz-related projects, including his newly formed Dave King Trucking Company. The truckers reunite at the Artists Quarter (6/11-12), with the splendid saxman Brandon Wozniak replacing Chris Speed, and the returning Erik Fratzke on guitar and Adam Linz on bass. It’s music to churn in your brain and ears. Always worth celebrating, the opening of a new music venue! The very popular Fireside Pizza in Richfield gets a sibling this weekend with the opening of an expanded version in Rosemount. Denny Malmberg, who appears in Richfield two nights per week with Charmin Michelle, will headline the opening night (6/11) with Charmin as guest vocalist. Tomorrow (6/12), the music will be provided by Christine Rosholt and Chris Lomheim. You can’t go wrong with either, or with the pizza. Also now serving music as well as elegant seafood and more, Sea Change at the Guthrie presents weekend music on the patio, with pianist Bryan Nichols and trio tonight (6/11) and guitarist Nick Haas and trio tomorrow (6/12). It’s a star-studded Sunday(6/13). Big band fans will enjoy the annual Jazz on the Prairie Festival at Starring Lake Amphitheater in Eden Prairie, featuring Acme Jazz Company, Just Friends Big Band, River City Jazz Orchestra, Just Friends Big Band, Bend in the River Big Band and Jazz on the Prairie Big Band. Or you can just stay in the city for one giant of a big band matinee, the Count Basie Orchestra at Orchestra Hall. The big gig of the week comes in the evening (6/13), with the first of two nights at the Dakota with Miles Davis and Chick Corea alum Stanley Clarke and his much younger, equally magical co-conspirator, pianist non pareil Hiromi. Here together in October with Lenny White for the Stanley Clarke Trio, the two are on a quick break from the Stanley Clarke Band tour. Clarke’s last trio recording (with Hiromi and White), Jazz in the Garden, was his first all-acoustic effort, while he mixed it up on his new Stanley Clarke Band release. Whatever ax he brings forward at the Dakota, Hiromi will be there to lift it up and take it apart, unpredictable, unflagging energy, surprising lyricism, and lots of fun. 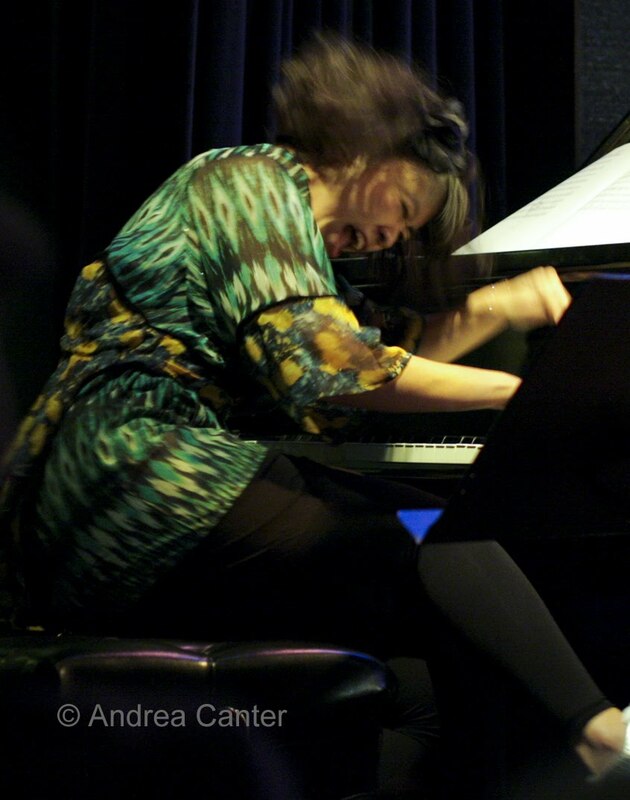 Take Dakota owner Lowell Pickett’s analogy to heart—seeing Hiromi live will convince you of the veracity of Crouching Tiger, Hidden Dragon, as you will swear she can fly. And save energy for Jazz Night Out (6/17). The popular kickoff to the Twin Cities Jazz Festival, this annual club crawl allows you to visit a number of venues in close proximity and sample the best of mostly local music, as well as some special events such as Stride Piano Night at the Artists Quarter, with Jon Weber arriving from New York, Paul Asara from Chicago, and our own Butch Thompson. 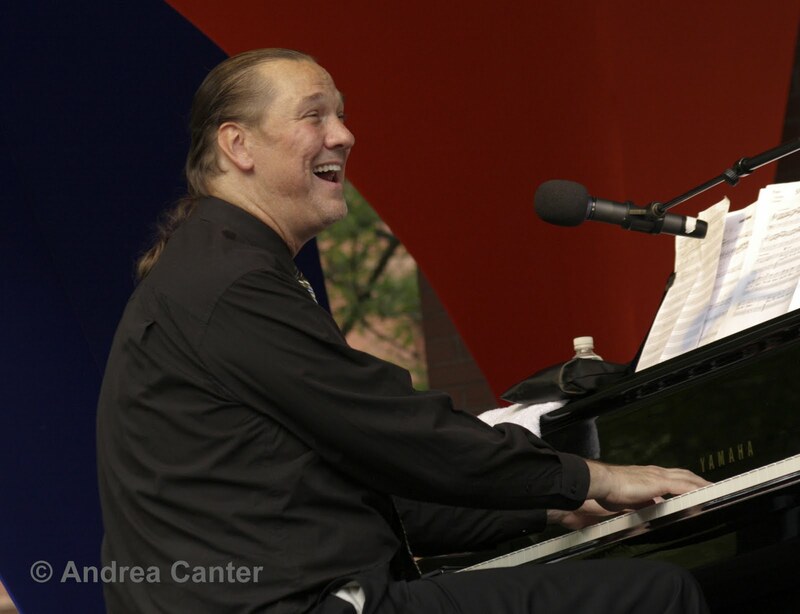 Weber will be active throughout the festival as he typically serves as the “house pianist,” and will also be back at the AQ over the weekend with his trio. Other not-to-miss stops on the club crawl (not that you can do them all!) include Pippi Ardenia at Mears Park; George Avaloz, Larry McDonough, Globafo and Axis Mundi at the Hat Trick (four separate sets); Nathan Hanson/Rahjta Ren/Pete Hennig at the Black Dog; Arne Fogel and Maud Hixon with the Wolverines at Mancini’s; the Jazz Vocalist of Minnesota Showcase (Lucia Newell, Rhonda Laurie, Dorothy Doring, Lee Engele and Connie Dusseau) with the Phil Aaron Trio at Camp Bar; Joann Funk at the Lobby Bar (St. Paul Hotel). See the festival website for more information at http://www.twincitiesjazzfestival.com/ . There’s some festival spirit across the river, too, with acclaimed harmonica virtuoso Howard Levy at the Dakota. Experimental and modern improvisational music can be found this week at the Black Dog with Fantastic Fridays (6/11); Jello Slave at Barbette (6/14); Jazz Implosion (usually Fat Kid Wednesdays) at the Clown (6/14); Tuesdays at the Clown (6/15, TBA). Trad and straight-ahead bands provide a lot of music this week, with Gordy Johnson and Tommy O’Donnell at Roman Anthony’s in White Bear (6/11-12); Barbary Coast at the Bloomington Performing Arts Center (6/12); Joann Funk at Luna Rossa in Stillwater (6/12); the Southside Aces jam at the Nomad (6/13); Zacc Harris Trio at the Riverview Wine Bar (6/13); Dan Newton’s Café Accordion at Loring Pasta Bar (6/15); Jack Brass Band at Favor Café (6/15); Cory Wong Quartet followed by the Tuesday Night Band at the AQ (6/15); Tanner Taylor Trio jam with special guest, trumpeter Steve Kenny (6/16); the Wolverines Trio at Hell’s Kitchen (6/16); Tanner Taylor solo piano for Jazz After Work (KBEM) at Barrio in St Paul (6/17). And you can always find plenty to sing about in town: The Jana Nyberg Group at Honey (6/11); Debbie Duncan with Vital Organ at Hell’s Kitchen (6/11) and with Mary Louise Knutson at Camp Bar (6/15); Lee Engele with Reynold Philipsek at the St Paul Public Library’s jazz festival series (6/12) and at Loring Kitchen (6/13); T. Mychal Rambo and friends at the St Paul Public Library (6/13); Arne Fogel and Jennifer Eckes with special guest Rhonda Laurie at Honey (6/13); Charmin Michelle and Denny Malmberg at Fireside Pizza-Richfield (6/14 & 6/16); Nichola Miller and Tanner Taylor at Spoonriver (6/15); Paula Lammers at the VFW South St Paul (6/15).